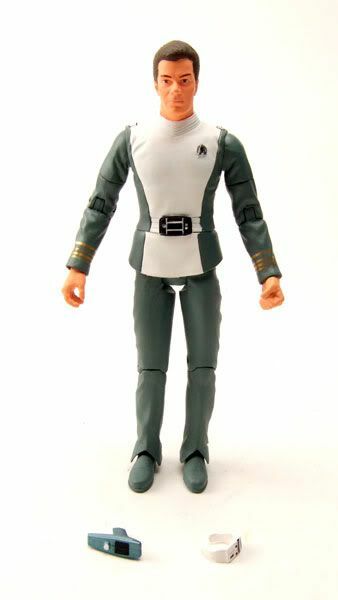 Admiral Kirk was released by Diamond Select Toys in a carded 2-Pack with Commander Spock. 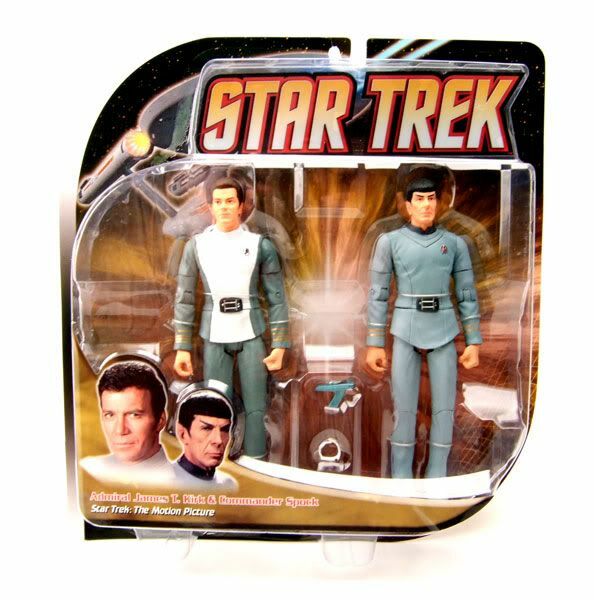 The Rundown: Diamond Select made it's first foray into figures from Star Trek: The Motion Picture with this 2 pack. 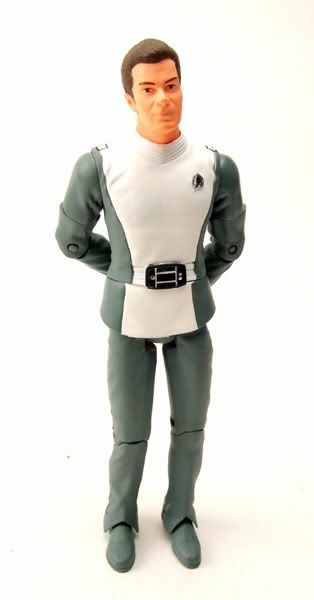 This version was realeased to comic shops, and a version with a gray suited 'Captain' Kirk was released to Toys R Us. 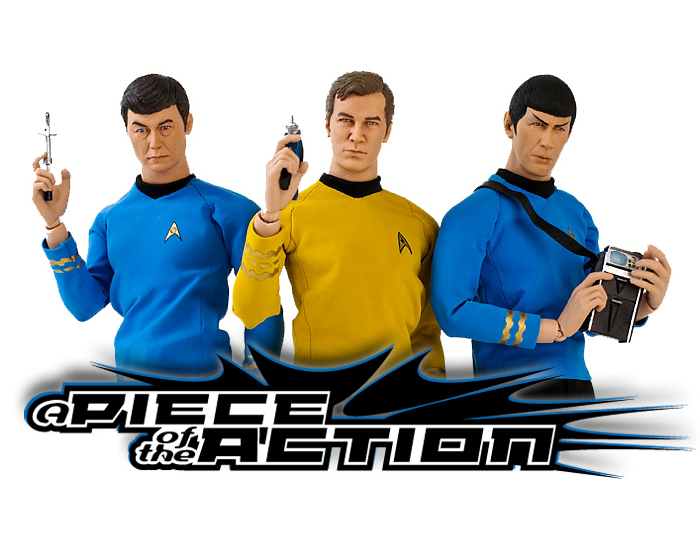 As of this writing, Kirk and Spock are the only characters that have been released by Diamond Select in TMP uniforms. 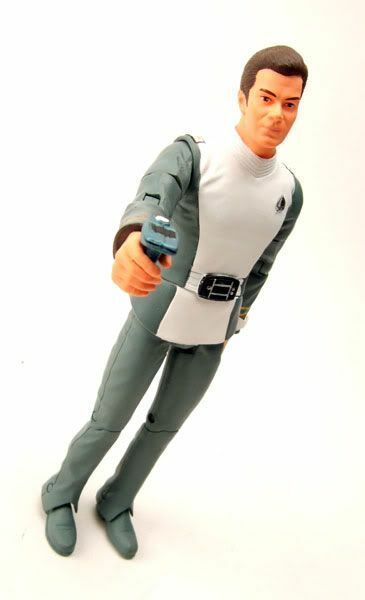 I expected Diamond to cheap out and just use the mediocre head sculpt from the TWOK Kirk figure, but they actually made a new, slightly younger looking head! 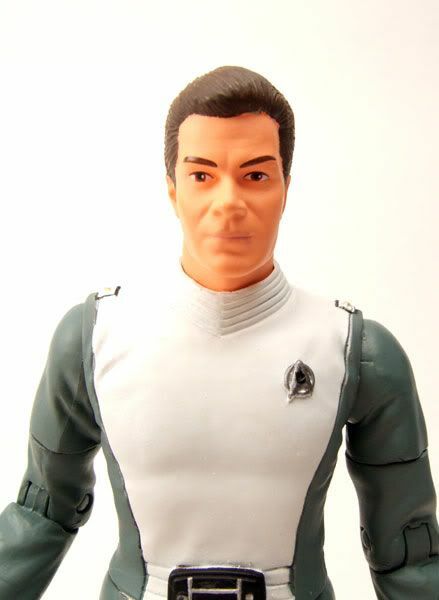 The face is alot less 'pinchy' than the TWOK head, and the hair is more wavy and alot less curly. 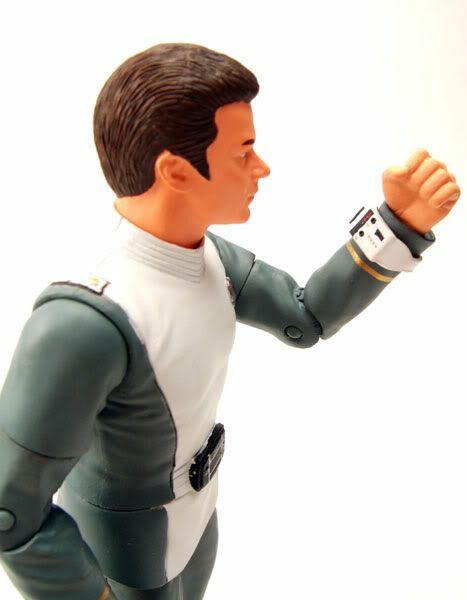 I feel it's a MUCH better sculpt. 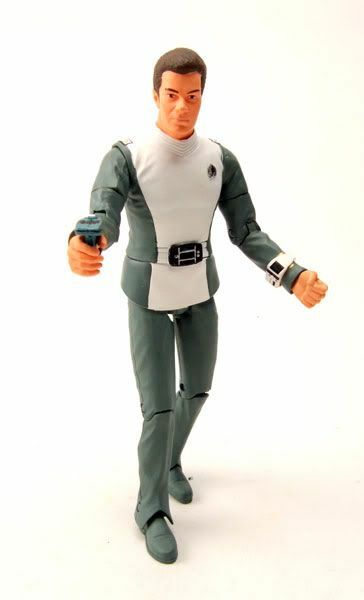 I actually bought an extra to pop the head and throw it on the TWOK body. 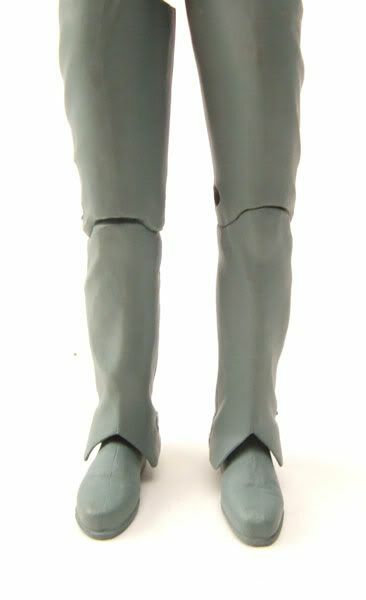 Looks much better!